One of the fastest growing sports paddling its way around the world these days is dragon boating and Hong Kong is set to host its Dragon Boat Carnival. The Dragon Boat Carnival is one of Hong Kong’s favourite summer festivals: a time for spectators and athletes to assemble from around the world. This year’s three-day carnival is scheduled to take place at the Central Harbourfront and on the waters of Victoria Harbour from June 22-24. Admission is free and the event is organized by the Hong Kong Tourism Board (HKTB) and co-organized by the Hong Kong China Dragon Boat Association (HKCDBA) and this year will mark the event’s 9th season. More than 4,500 athletes, including the largest number of overseas teams on record, will take part in the International Dragon Boat Races which are the highlights of the carnival. Canadians will be on the starting line, joining competitors from Australia, New Zealand, France, the USA, Japan, Korea, Singapore, the Philippines, Malaysia, Israel, India, Taiwan, Mainland China, Macau and Hong Kong itself. 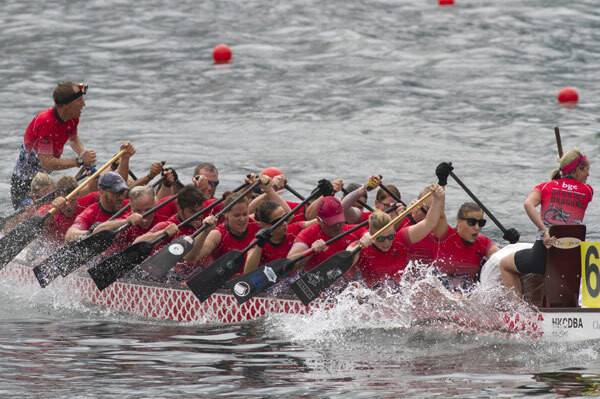 This year’s Canadian dragon boat entry is the Toronto Firefighters’ team. The group is comprised of 20 paddlers, one drummer and one steersman, all working with Captain Jason Eyers, who has over 14 years’ experience in the boat. For more, paddle on over to www.DiscoverHongKong.com/DragonBoat for more information.